From the prison to the streets, the transformation of a man. That’s the subject of “A Man Like Me” – a play created by four former prisoners taking advantage of “The Dads Back!” Academy and TheatreWorkers Project. 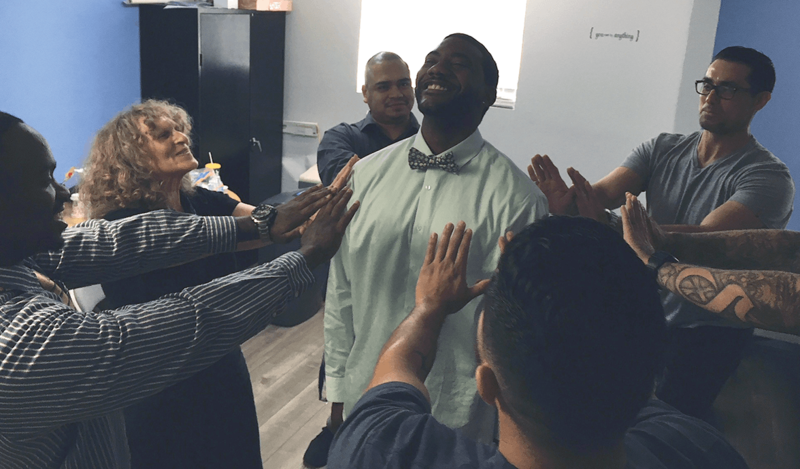 The academy is a reentry organization, run by Friends Outside Los Angeles County (FOLA), using theater to reintegrate parolees and formerly incarcerated men back into society. The arts program is run in partnership with the TheatreWorkers Project, which provides theater workshops called “Moving Forward” twice a month, mostly in Southern California. This allows the academy members the opportunity to redefine their personal narratives through improvisation, movement and writing, Susan “Susie” Tanner, TheatreWorkers Project director, told the San Quentin News. “A Man Like Me” is performed by some of the academy members for peers, at-risk youth, families, and the public. Two of the authors perform, but the other two dropped out when they found employment. “It’s one of the double-edged swords because their reentry was successful, but for us it was like “Oh, what are we gonna do?” said Tanner. TheatreWorkers Project also produced a play titled “Found Suitable” in conjunction with The Francisco Homes, a transitional housing organization in the Los Angeles Area. The project and program mainly help paroled lifers. “The Dads Back project mainly targets African American men, while The Francisco Homes project is multi-ethnic,” said Tanner. Tanner is no stranger to working in and visiting prisons. She taught writing workshops at California Institution for Men (CIM) in Chino and theater workshops at California Institution for Women (CIW) in Corona. Tanner has visited San Quentin for an art exhibit and some theater performances. The Dads Back Academy has extended its workshop series to include three women who are alums of the academy. 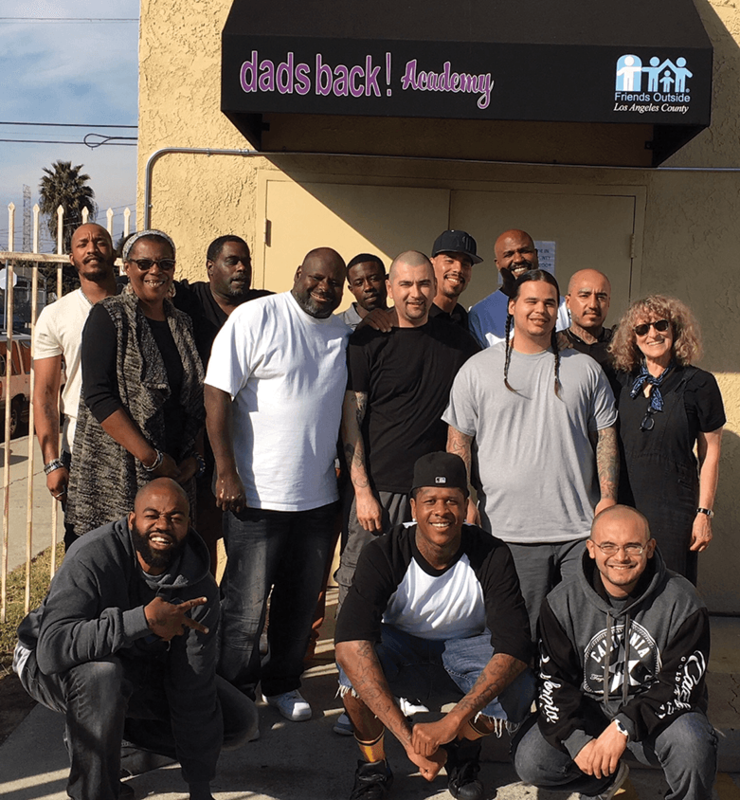 The Dads Back Academy offers more than the theater program. They have job readiness workshops, substance abuse treatment programs and a “Parole to Payroll” program that includes job-seeking activities and job placement. Its “Incarcerated Parents Program” [IPP] helps the returning fathers develop and maintain positive relationships with their children during and after incarceration. One of the primary goals of the Friends Outside organization is to help break the cycle of intergenerational incarceration. “If you’re a father and you lose connection with your son or your daughter, they have a higher incidence of being at risk to repeat and become incarcerated themselves,” said Tanner. “It just becomes this vicious cycle. “One of the things that Friends Outside focuses on is parenting skills, fatherhood and motherhood skills and also they have a very strong program organizing family visits so families can go and visit their incarcerated relatives,” added Tanner. There are some requirements for the IPP program: The father must have a case with the Department of Children and Family Services (DCFS). The father can’t have a “stay away” or restraining order in criminal court or in the dependency court which prevents them from having contact with their children, according to the FOLA website. 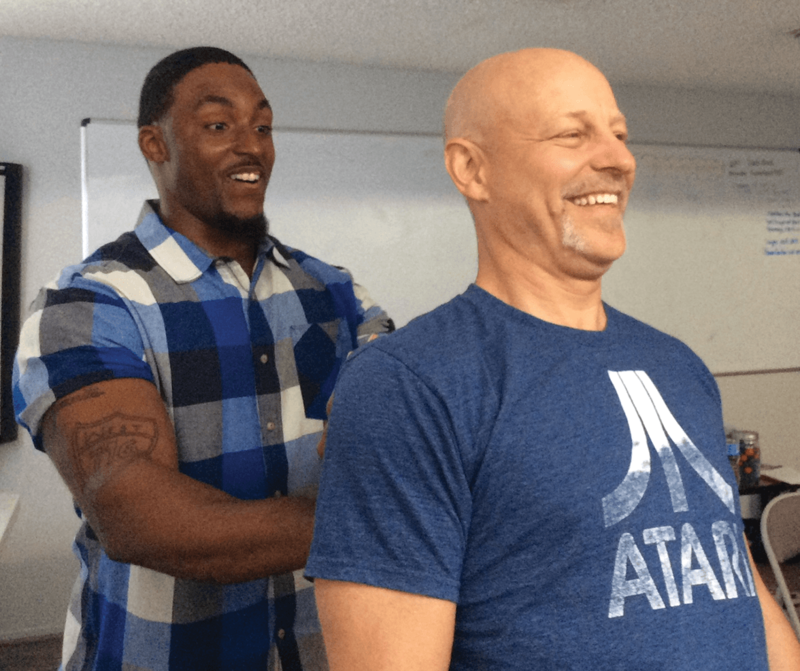 Since the workshops have become effective tools for rehabilitation and healing, the projects were awarded grants from the California Arts Council Reentry through the Arts and California Arts Council Artists Activating Communities. Jim Macdonald and Marlene McCurtis are part of the TheatreWorkers Project team of artists that work with the returning citizens along with Tanner. Friend Outside website information http://www.friendsoutsidela.org/get-help/programs/.